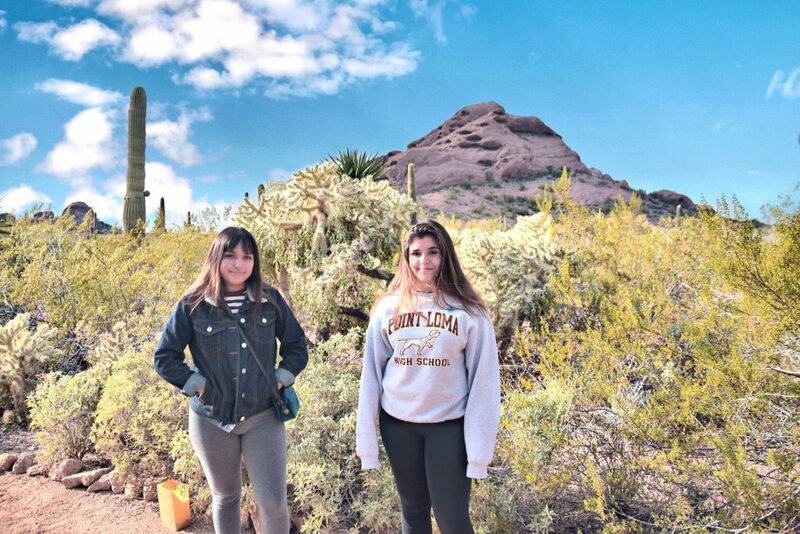 Tempe is the under-appreciated stepchild of Phoenix, Arizona, and our recent trip to this desert city helped show us there are tons of things to do in Tempe with teens. Phoenix is so large (6th largest city in the US) that it seems the city limits go on forever. Not true, however, because Tempe is right near downtown Phoenix and is full action and energy. On a recent road trip from San Diego, our family made a stop in beautiful Tempe and were pleasantly surprised at this mighty little burg. In Arizona to see the sights and also tour colleges for Sophia, we stayed two nights at the Phoenix Marriott Resort Tempe at The Buttes. Now that is quite a mouthful to say (and type), and it’s proof of Tempe’s undiscovered status. Wouldn’t it just be easier to call it the Tempe Marriott? Whatever they chose to call it, this hotel was a perfect spot for us. It’s tucked up against The Buttes, a postcard-perfect rock formation like so many Western vistas. 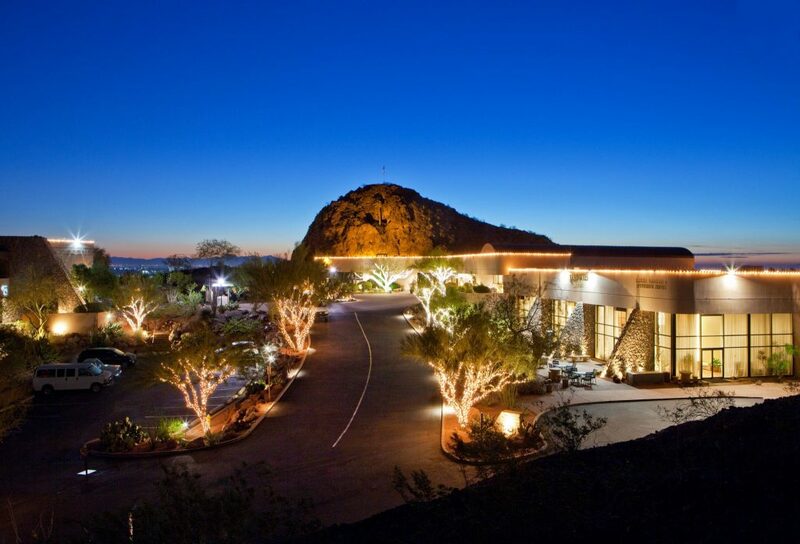 Curving naturally around the rocky outcroppings, the Phoenix Marriott Resort Tempe at The Buttes takes full advantage of its elevated desert views. And the pool! The pool design made us want to dip in, despite the winter temperatures. Teens are a fickle bunch, and our girls are no different. At 17, Sophia is ready to rule the world with her growing independence. Ava is a 15 year-old focused on music, reading, writing poems and cheerleading. Both daughters are easily bored and need the right amount of mental stimulation to jar them from their phones. In Tempe, we did some cool things that kept our teens’ attention. 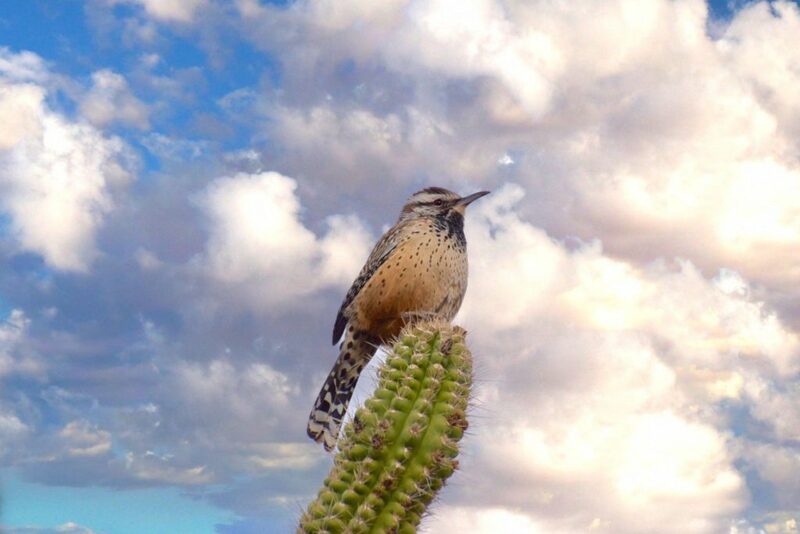 Near our hotel in Tempe, this little bird caught my eye as it perched on top of this spiny cactus. 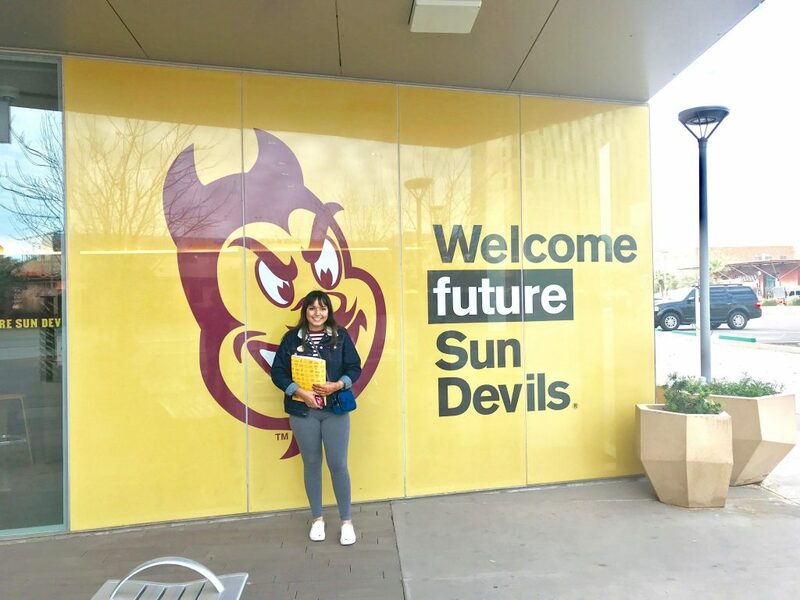 Because Sophia is trying to determine where she might like to submit applications for college, Arizona State University (ASU) was a natural choice to visit. This campus tour is really well done, and they made both our kid feel welcome. 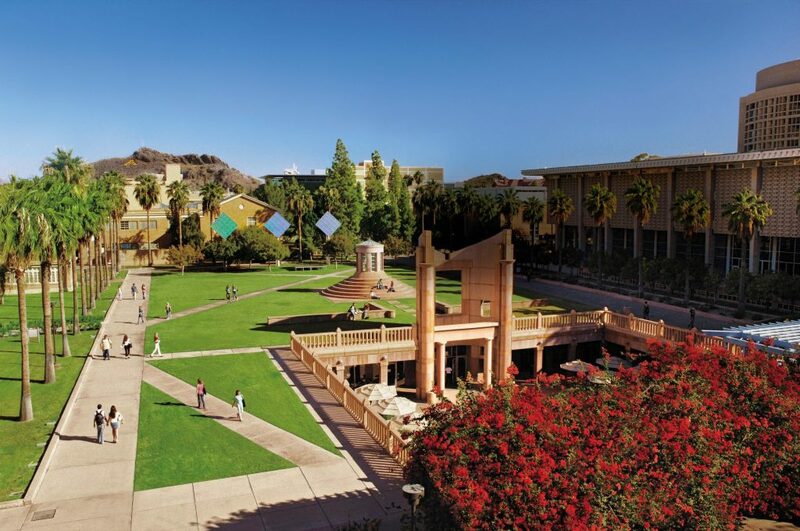 It was fun to get a glimpse into college life at ASU as we toured the campus grounds. 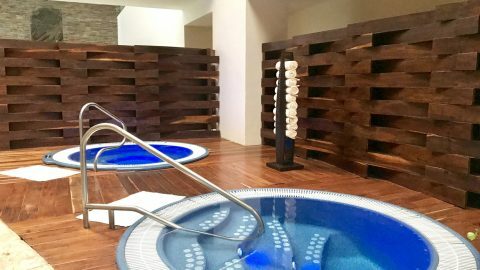 The gym here is so enormous, there is room to for hundreds to work out, swim and play sports. Clearly this is an active student body, and our girls loved checking out all the ways to exercise offered here. The graphic and fine arts programs here are impressive, thanks to the largesse of donors like the Herberger Family. These buildings, and the equipment inside them, are state of the art. Sophia and Ava were thrilled. Sophia was excited to tour the ASU campus, thinking of becoming a Sun Devil. Technically not in Tempe but just stone’s throw outside its official borders, the Desert Botanical Garden is a lot more than a cactus garden. Yes of course there are tons of cactus, along with a total of some 50,000 different desert plants. What makes this place so special is the way it is laid out, with meandering gravel paths and view spots galore. There were kids playing hide-and-seek (not ours, who evidently are too cool for that). Although we visited at the wrong season to see the Butterfly Encounter, it looks amazing. Just a good reason to come back for another visit! All the paths throughout the Desert Botanical Garden are gorgeous, both landscaped and natural. Next time we’d also like to take one of the guided tours. From what we could overhear without butting into someone else’s tour, the guide was telling really interesting stories. Even the kids in the group were listening, which is no small feat. 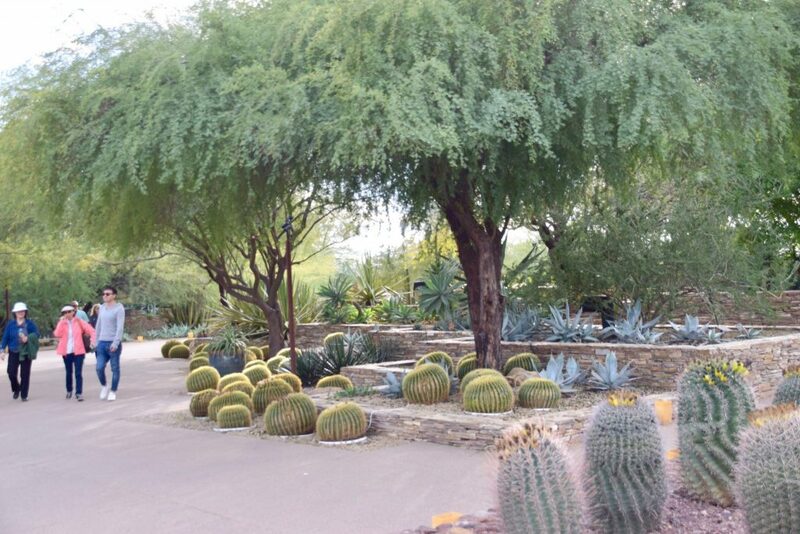 The desert landscape at the botanical gardens near Tempe AZ looks both colorful and other-worldly. There are a LOT of hiking choices throughout the area, and many more strenuous. We loved hiking The Buttes, directly above our hotel, because it was so convenient and so beautiful. Little did we know when we planned this December trip that so many flowers would be in bloom. Walking up the steep path to the top of The Buttes, we were surrounded by bright yellow wildflowers. Many of the cacti were in bloom as well, and the range of colors was so intense! Vibrant magenta, bright yellow and delicate white flowers were springing from thorny cactus tops. 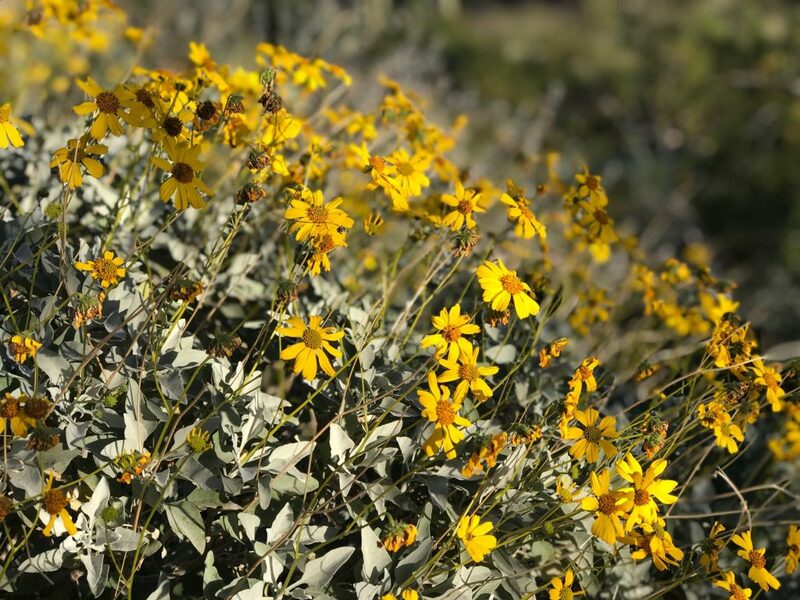 The rocky hills around Tempe are dotted with these bright wildflowers. At the top, we felt like we could see forever. Heading up here in the early morning is a good idea, when the sky is clear and the wind is minimal. We scrambled across rocks and through cactus to a view point overlooking all of Tempe and Phoenix. From up here, the 360-degree view is pretty spectacular. 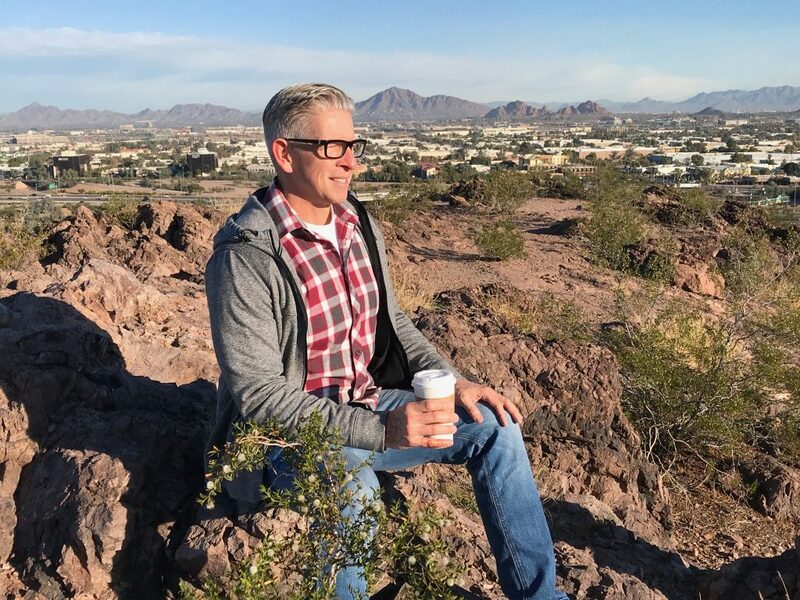 A brisk morning climb to the top of The Buttes in Tempe gives views for days. Ah, the age-old question of where to find a restaurant menu that will please all the family palates. We’ve got one that won’t eat chicken, one that doesn’t like vegetables, one eating no carbs, and one who doesn’t care. Luckily in Tempe, there’s room for everyone and we found a couple of places we really loved. Another brainchild of the enormously successful Fox Restaurants, Culinary Dropout came highly recommended by family living in the area. It was a great call, with just the right amount of hip, fun vibe to please the picky teens. Not only was the menu varied and interesting, but the live music playing while we were there was pretty outstanding. Like really good! For starters, we sampled the Korean-Style Brussel Sprouts which were charred and tossed in a tangy and sweet sauce. Alongside that we gobbled up the Hot Wings with classic Buffalo Sauce. For our main courses, we ordered the 36-Hour Pork Ribs with jalapeño and molasses barbecue sauce. The girls both ordered the crispy Fried Chicken with honey-drizzled buttermilk biscuits – sooooo good. I had the Grilled Steak Tacos, which were predictably tasty but not common by any means. And the live music? This dude was impressive – he was a master of his laptop and guitar. Playing interesting covers of well-worn hits, Levi (don’t know his last name) put a new spin on things. All four of us were surprised at how good this guy is. 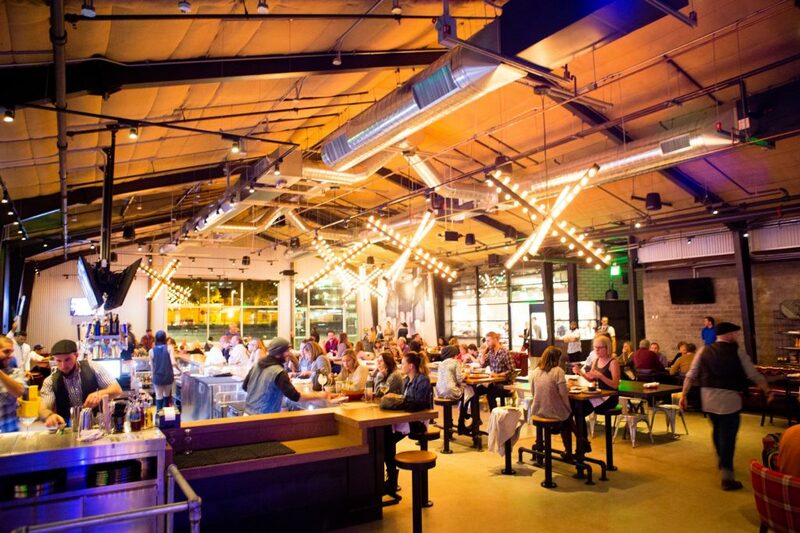 The restaurant is located in Tempe’s Farmer Arts District, which looked really cool. We’ll have to come back during the day to explore all the interesting shops and markets. For breakfast, we met a good friend at Snooze – An A.M. Eatery, across the street from ASU in Tempe. We have a Snooze in our home town too, and love going there except for the line of people waiting to be seated. No reservations + popular restaurant = long waits. We didn’t mind though, and yakked it up while they got our table ready. 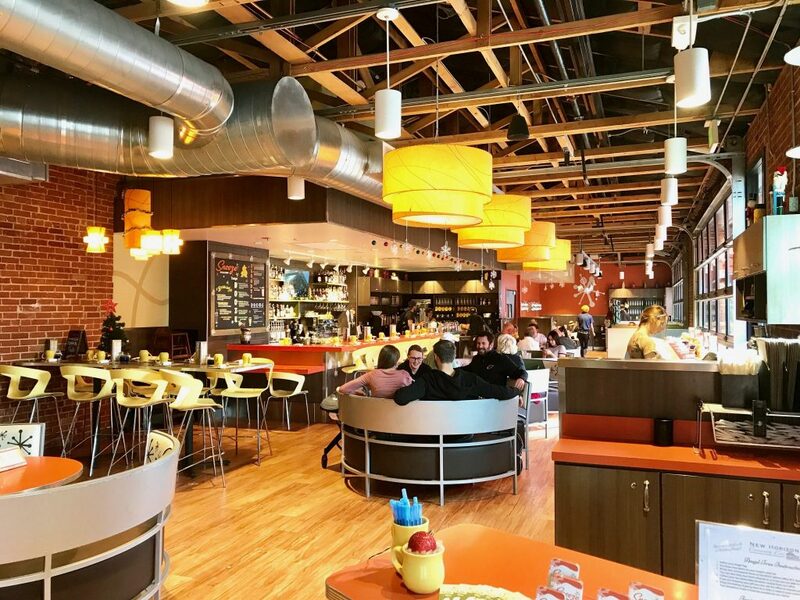 The interior of Snooze Eatery is colorful and creative, just like their food. Here I love to order the Snooze Spuds Deluxe – hash browns covered in cheddar cheese and green onions with eggs on the top. You can add additional toppings, so of course I did! Other orders at our table included the mascarpone-stuffed French Toast and the Nutella Pancakes. Paired with a cup of joe and a nice mimosa, and we were all ready to roll. 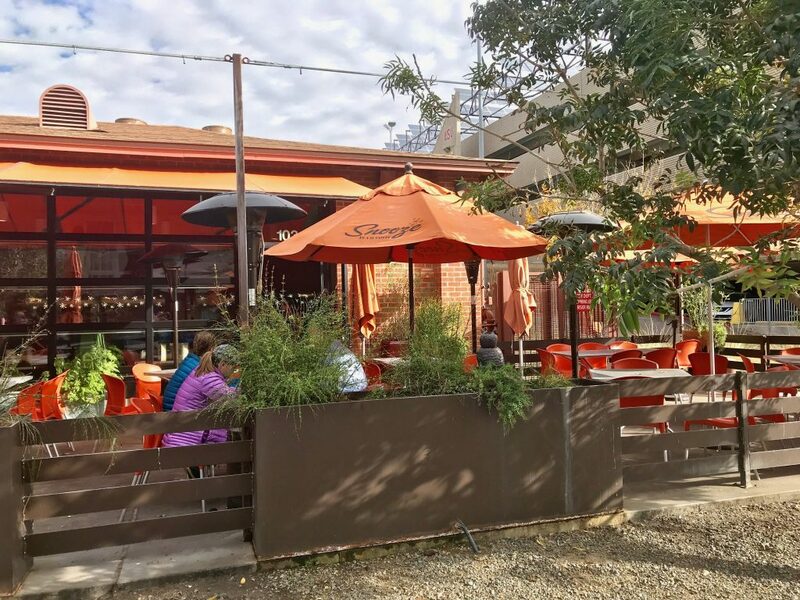 Even in the winter, the outdoor umbrellas at Snooze Eatery provide welcome shade. 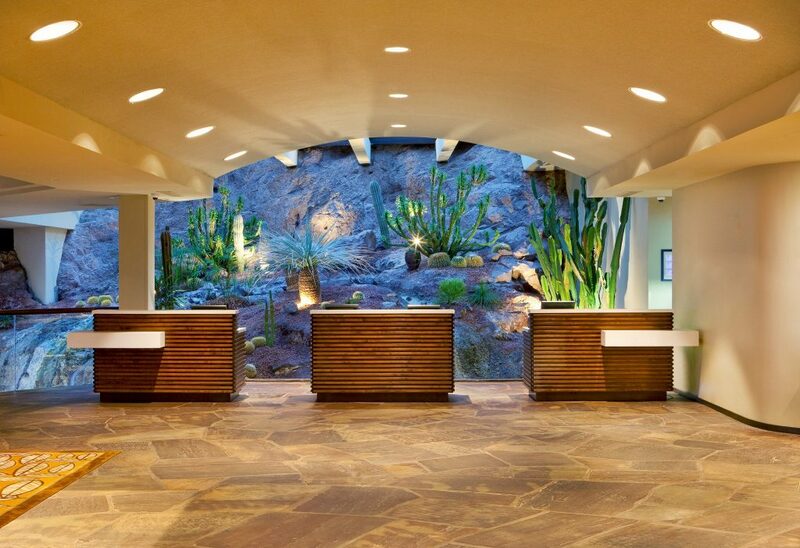 For more good ideas and what to see and where to eat, check out Tempe Tourism. 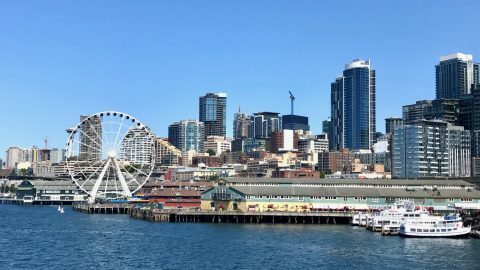 There is a wealth of information there about how to enjoy this cool city.